Despite some of the attractions Eyre Peninsula has – open spaces, beautiful coastlines, fresh seafood and good wine – it has so far remained under the radar of many Asian tourists, including those from Singapore. Though 434,000 Singaporeans visited Australia last year, only three per cent went to South Australia (according to Tourism Australia’s figures released during the Australian Tourism Exchange in Adelaide this April). Out of this figure, a smaller number ventured to Eyre Peninsula. This was our favourite activity while in Eyre Peninsula! 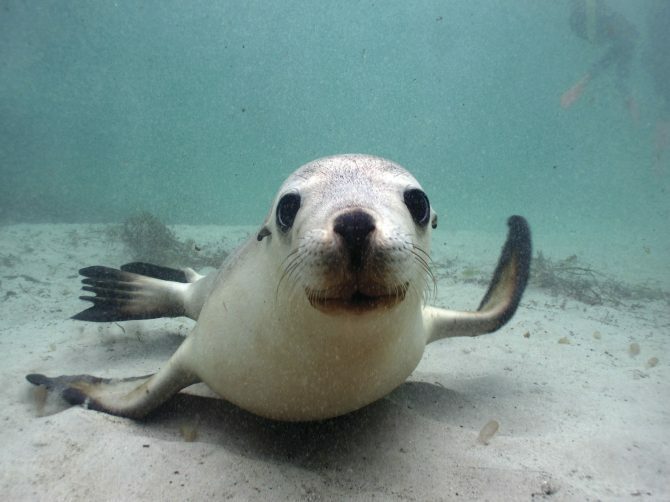 Watch and play with the endangered Australian sea lions in their natural habitat at Seal Cove. The licensed operators are very strict about enforcing no-touch rules (though the sea lions may come up to you) and respecting the natural environment of the sea lions, but this means that these cute sea mammals have not learned to fear humans and are as playful as puppies. Watch them perform somersaults and let them come up to you!